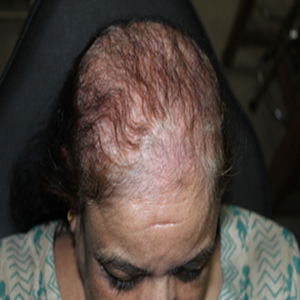 Androgenetic alopecia is the commonest hair loss type observed in women. 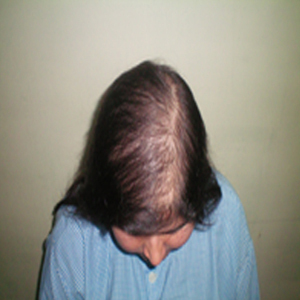 This phenomenon is also called female pattern baldness or alopecia. In this type of hair loss the hair are thinned predominantly at the top and on the sides of the head. Approximately one-third of the women are affected by this, although most commonly this type of hair loss occurs after menopause. However, its onset is also seen as early as puberty. Normally 10 to 125 hairs would fall daily, on the brighter side these hairs are also replaced continually. 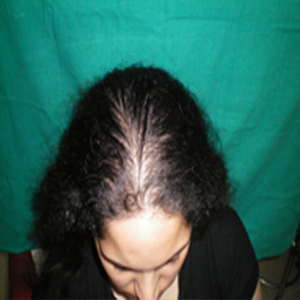 When lost hairs do not grow back and when the hair loss rate exceeds the limit of 125 hairs daily, it is true hair loss. The reason of hair loss may be genetic, coming from either of the parent. Hair loss types can be characterized under two categories, medical terms for which are telogen effluvium and anagen effluvium. menopause, during pregnancy, use of birth control medication. anaemia, sudden weight gain or loss, surgery . death in the family, mental illness . excessive dose of vitamin A, gout medicines, blood pressure control medicines.